Status Quo tribute act Just Supposin’ capture the raw energy and excitement of the original ‘Frantic Four’ line up (Rossi/Parfitt/Lancaster/Coghlan) of this classic British rock band. Their performances include only songs performed by this classic line-up. Through consummate skill and energy the band deliver a relentless two hour show that will have audiences rocking in the aisles. From ‘Caroline’ to ‘Rockin’ all over the World’, through the epic ‘4500 times’ and the mighty ‘Roadhouse Blues’, all the elements of a classic Quo concert are here and delivered with all the energy, power and humour of the original. Since 2007 Just Supposin' have played shows all over the UK at venues large and small. 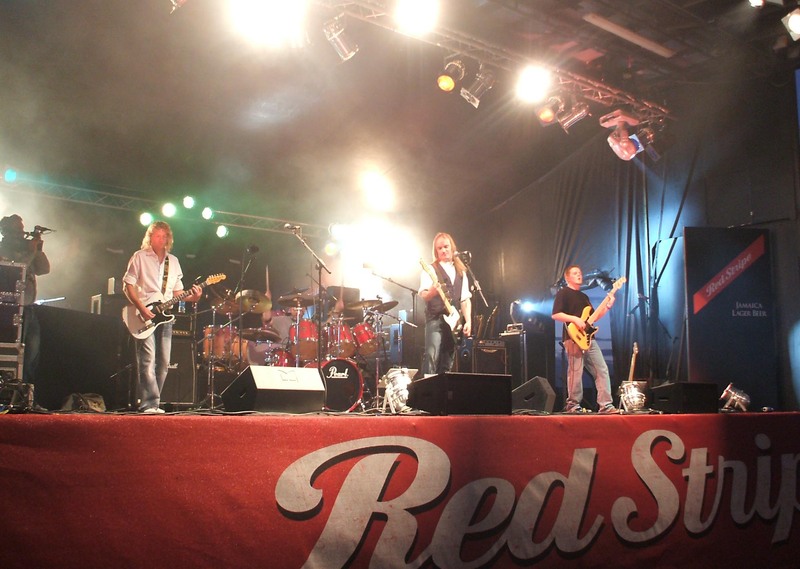 They are experienced at performing on large festival stages having played at venues such as Santa Pod raceway, Great Dorset Steam Fair and Chepstow racecourse. The band always has fun on stage but take the music seriously and strives to recreate the songs as played live by the original line up. Whether you are a long term fan or new to the music you will enjoy a great evening of entertainment and will not leave the venue disappointed.